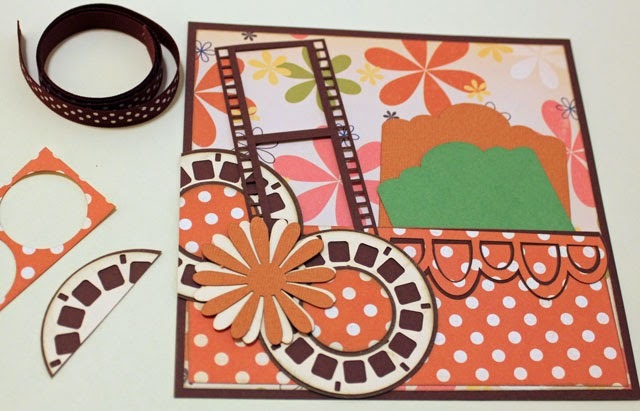 As I mentioned in my post about the Mega Make & Take Extravaganza at Scrapbook Expo, there were three layouts that I started but did not complete. I have two of those completed to share with you today. There were lots of pieces and layering on Shoestring Productions' 6"x6" piece that could be used as a layout or as a card front. I completed most of the project at the crop but chose to finish it at home once I decided how I wanted to use it. I decided not to use the tags from the kit so that I could include memorabilia in the pocket instead. I also added mini photos to the film strip. 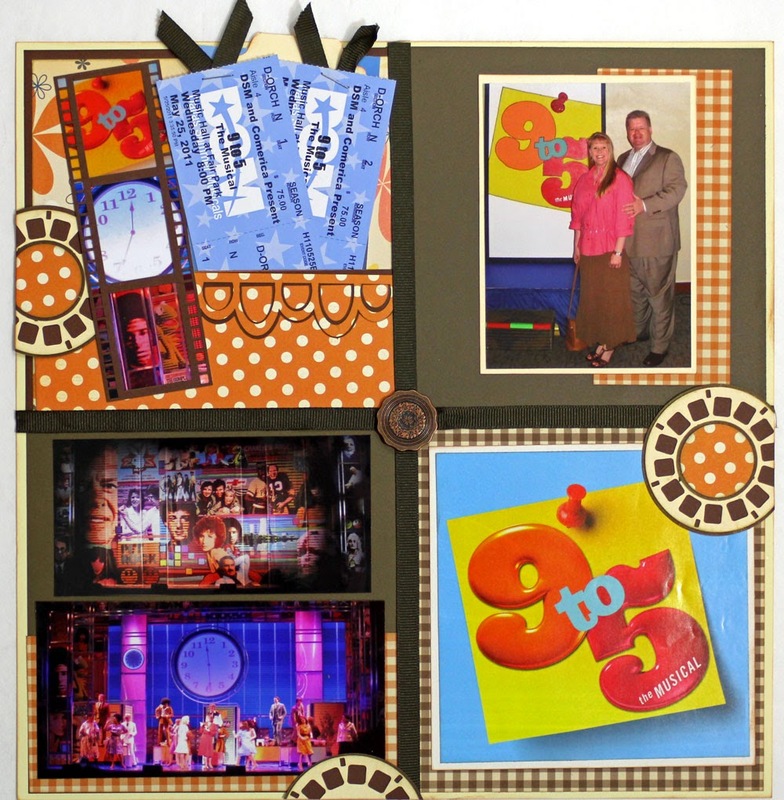 This piece then became one section of a 12x12 layout showcasing photos & memorabilia from the 9 to 5 theater production we attended back in 2011. The 12x12 layout kit from A to Z Scrapbooking included a sheet of laser die cuts that were easy to punch out and assemble. One of my favorite features on this layout is the "v" shaped ribbon ends, one of those techniques that I've tried before but usually forget about when I'm working on a layout. 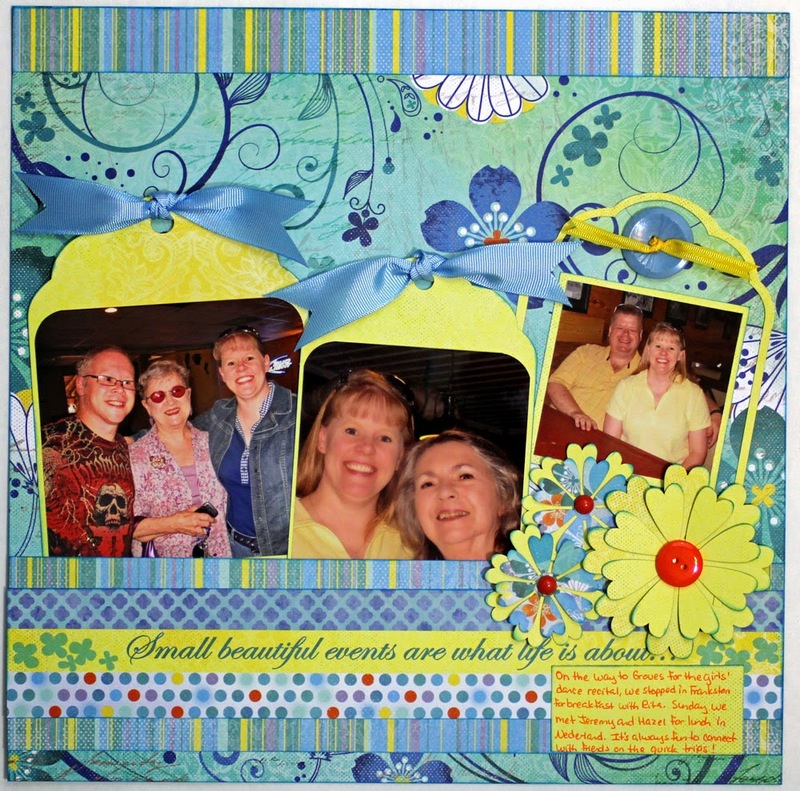 I finished this layout at the crop and added the photos and journaling after I returned home. I trimmed around the negative of the tag die cut to create an additional "tag" on the right so that I could include another photo. I added a button and ribbon from my stash, then included a small block for journaling. 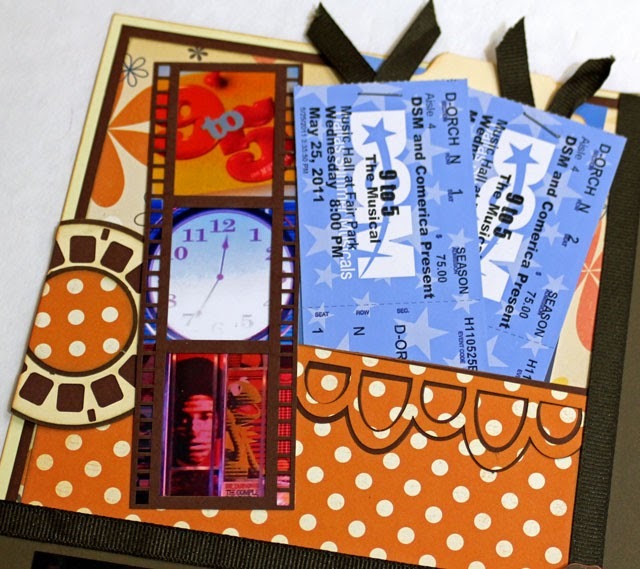 I have two more partially done layouts to complete from Scrapbook Expo . . . and two kits of new products that I received to try out! It's still cold here this week, so I'll definitely be spending some time in my warm happy craft room. Congratulations Deb! Please email me (there's a link to my email under my profile picture on the right side of the blog) your address & I'll get this in the mail to you! I like those mini photos on the film strip :). Great use of the 6x6 page and I like the negative tag frame for the third photo. GReat use of that page. It looks perfect on your layout.